I have been intently following the Presidential election so I am accustomed to viewing an old cranky senile man ramble on and on, then make piss poor indefensible public decisions. 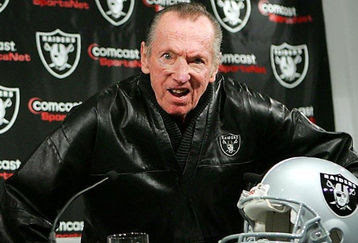 Al Davis reminds me of Gramps McCain with their questionable judgement, out of touch beliefs, and quest and longing for the "glorious days of years past." Davis is not the only professional sports owner with a stranglehold on a team's fan base. 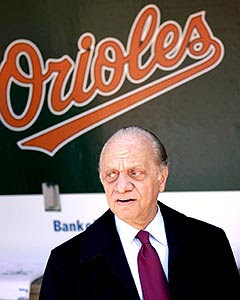 The Orioles just finished up their 11th straight losing season under the miserable ownership of Peter Angelos. Things are so terrible with this organization that the fact they were playing near 500 ball in early August is considered a crowning achievement. The Orioles performed their usual late season collapse to finish 68-93 and in dead last in the AL East. The Angelos controlled Orioles have only had 4 winning seasons in his 16 year tenure and the dismal player/leadership hires are too painful for this die hard Os fan to detail right now. 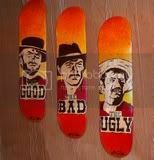 Since both owners are unwilling to sell, there is a twisted but true fact to report. If Davis or Angelos croaked tomorrow, the majority of the respective Os and Raiders fans would be in state of jubilation, not mourning.